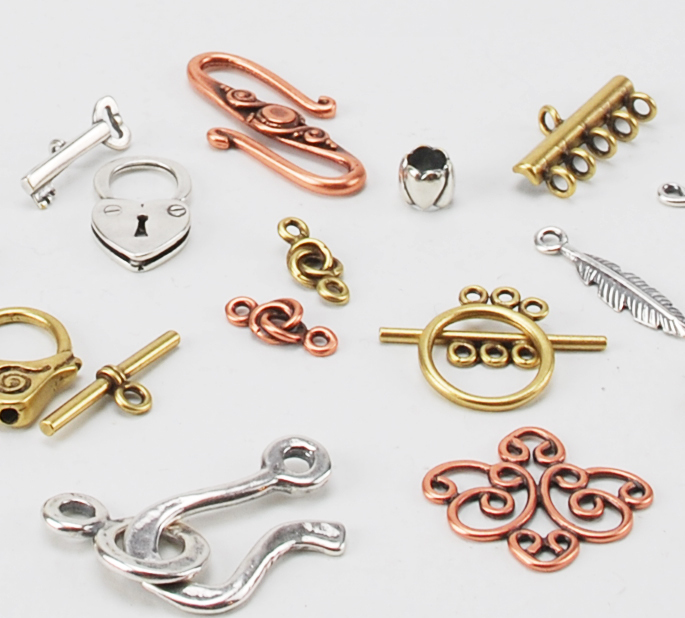 Introducing our new expanded selection of Metal Design Stamps. 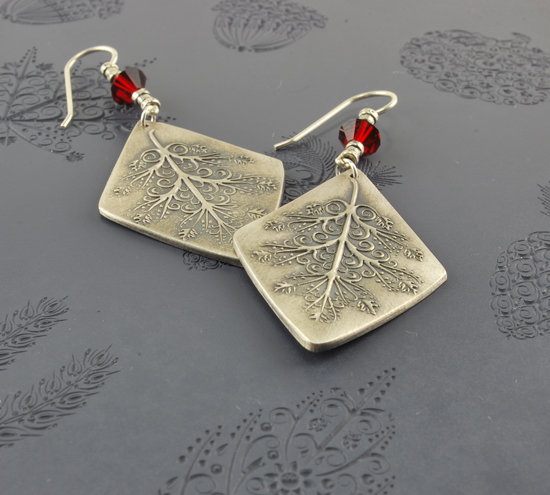 Over 100 new stamps to design and impress in your metal clay and jewelry projects. 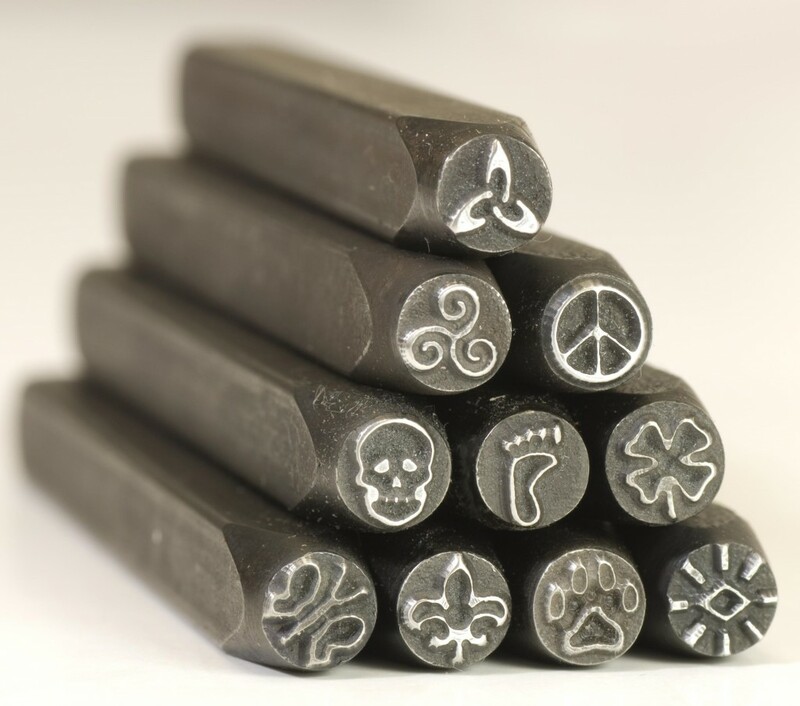 All of our Design Stamps (punches) are made from heat-treated tool grade steel and are a great way to add unique designs and impressions to your jewelry projects. Our new selection offers hundreds of designs, symbols, patterns, shapes, and emblems to choose from. To work successfully with Design Stamps and punches, place the metal you want to stamp on a hardened steel bench block. The bench block must be on a firm flat surface. Do not use a sand bag or any other padding below. The bench block needs to rest directly on a flat hard surface. Hold the punch perfectly straight. Use a 16 oz utility hammer to hit the end of the stamp. Ideally the impression should be made with one blow so practice on copper until you’ve got it. Find all the tools you need to inspire right here from Cool Tools. Previous post: $200 Cool Tools Gift Certificate Winner!  Next post: What’s Up With The Price Of Silver?